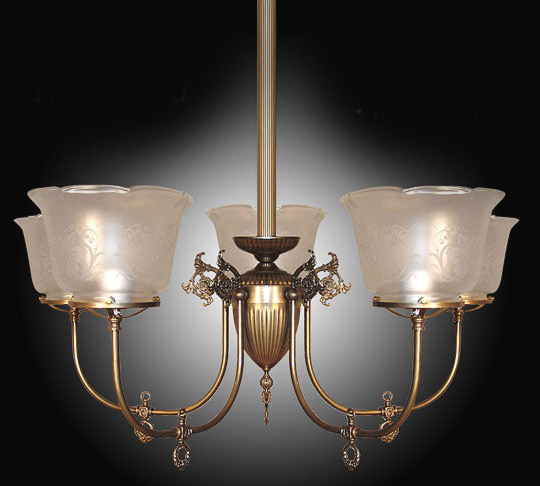 This lovely gaslight reproduction, as well as many other chandeliers and wall sconces, was custom designed specifically for Warner Brothers' feature film, 'Jesse James', with Brad Pitt. This beautiful piece is now being made available to the public. Shown in Antiqued Brass. Available in different Metal Finishes, different Glass, Back Plate, more or fewer arms, arm direction, tubing style and many other Custom Options.